Gay men love to shop, especially while on vacation in a new and exotic place like Puerto Vallarta. 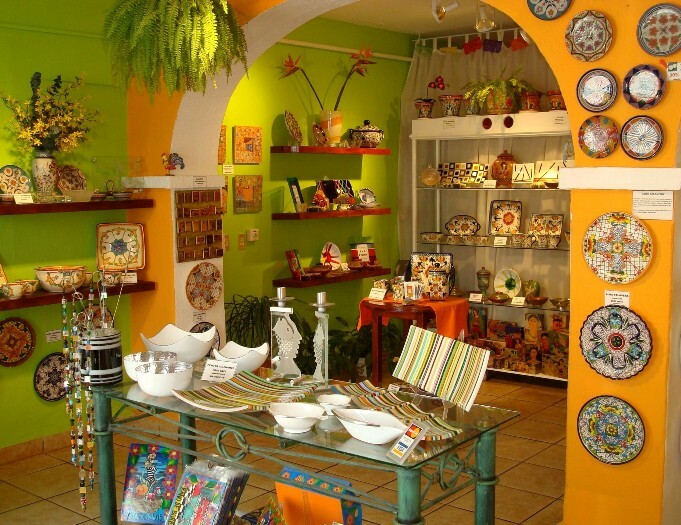 This area of Mexico is known, among other things, for its locally made arts & crafts, ceramics and beautiful hand blown colored glass available at the many gift shops throughout the city. Talavera pottery is still locally made using the centuries old techniques of the Spanish. 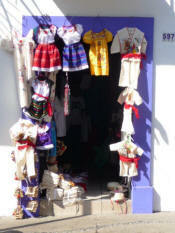 Excellent leather goods from the city of Leon are available in here at a third of the cost in the States. 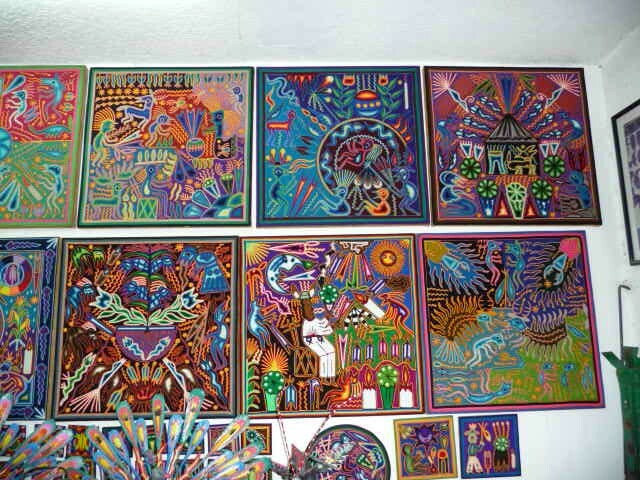 The Huichol Indians of Nayarit and Jalisco are among the great artisans of Mexico, producing intricate yarn paintings and beaded masks, animals and prayer bowls. 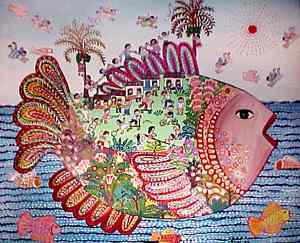 The yarn paintings by such masters as Jose Benitez Sanchez and Jose Bautista are extraordinary and collected by museums around the world. 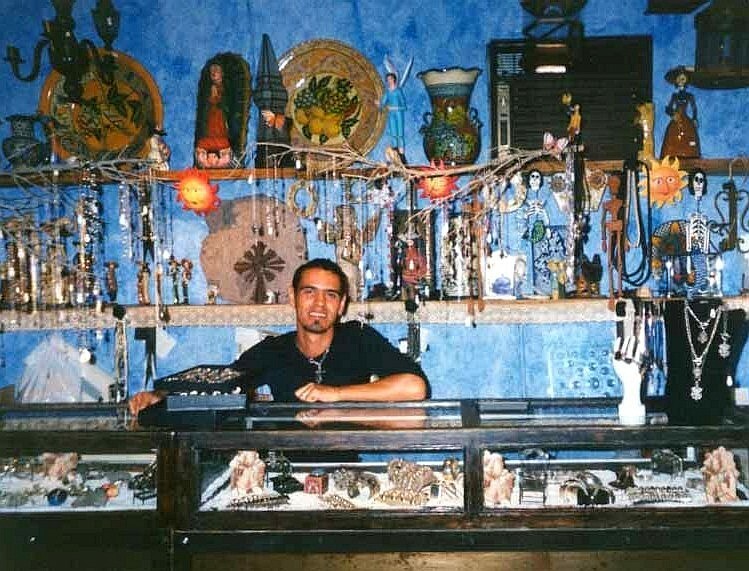 Quite a few of the Vallarta shops and art galleries carry work by the Huichols and other native tribes like the Cora, and a number of these are gay-owned too. Beautiful black pottery from Oaxaca, all sorts of handcrafts and simple Mexican leather sandals (huaraches) can be had for a song. 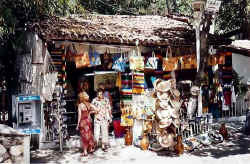 It's great to go shopping here as so many interesting stores and boutiques in Puerto Vallarta are filled with quality pottery, stained and etched glass, knickknacks, women's clothing and accessories, Cuban cigars, trinkets, beach wear and summer clothes, handicrafts/artisanry and native artifacts, paper mache, home furnishings and furniture, wood carvings, colorful blankets (sarapes), embroidered clothing, gold jewelry and hand-made gifts and items of just about every imaginable design, material and fabric. There are an abundance of specialty stores in all different parts of town which adds to the city's attraction as a tourist destination. Mexico is among the world's leading producers of silver, and dozens of jewelry shops sell high quality sterling silver items. 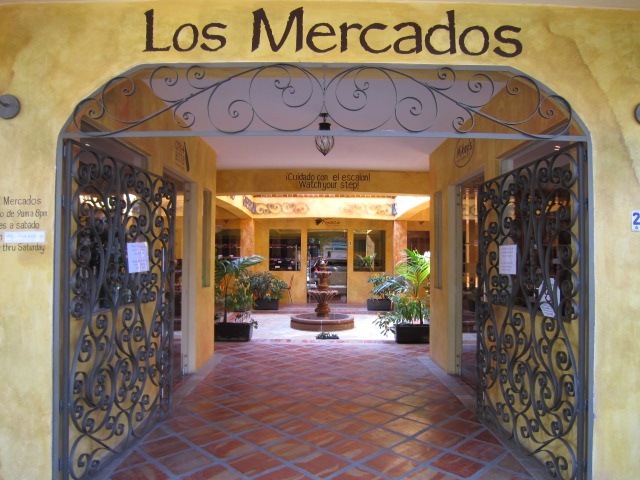 Prices in retail stores are marked in pesos and are fixed. 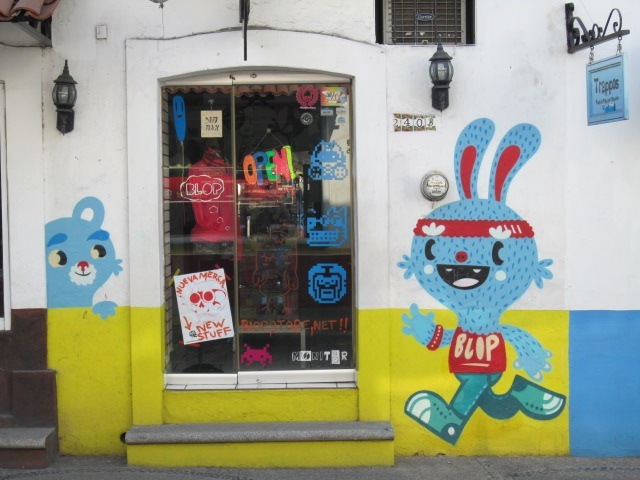 There are three general and especially gay-friendly districts you might want to take a walk around in to look and shop: Downtown, Cuale River Island and the South Side. 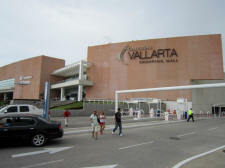 Most of the main Puerto Vallarta shopping malls and centers (listed page bottom) are in or near the hotel district on the North side or else around Marina Vallarta. The street along the downtown boardwalk sea-wall or malecon, Paseo Diaz Ordaz, has many designer stores that generally sell goods at high prices. 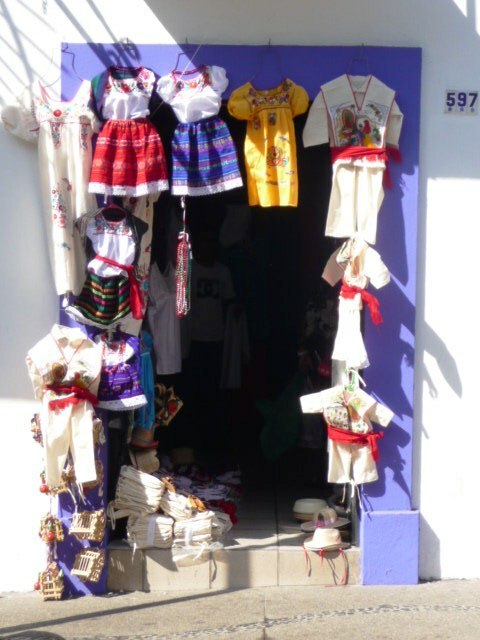 It's perhaps better to do some shopping instead along the Juarez and Morelos street areas, which run parallel to the malecon, and also the cross streets in-between. Prices are more reasonable and many small locally owned stores, fashionable boutiques and quite a number of fine art galleries such as the Galeria Pacifico, Corsica and Uno are in the area. Farther south on Insurgentes street along the Cuale River is the large Municipal Market or flea market (9am-8pm), with its many of stalls on two levels for great Puerto Vallarta shopping where you can and are expected to bargain before buying just about anything under the sun, including 30 dozen or more different types of T-shirts, as well as jewelry, handicrafts, glassware, sombreros, pottery, trinkets, mirrors, sarapes/blankets, silver, souvenirs of all sorts, key chains and clothes to name a few items. 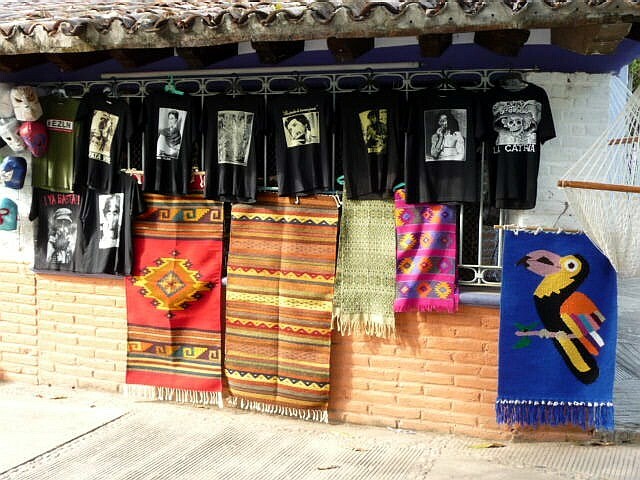 There's also the Pueblo Viejo Artisans Market at Morelos and Agustin Rodriguez streets with its wide variety of handcrafts and economical items. Many colorful and fun shops are nearby and waiting to be explored. Puerto Vallarta is divided by the Cuale River, which runs from high in the Sierra Madre mountains into Banderas Bay. In the middle of the river is an long and narrow island that has several very good restaurants on it including the well known Le Bistro, Oscar's and The River Cafe. 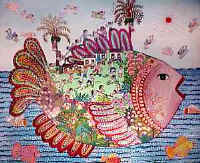 One can feel the tropical energy of Mexico on this island as in no other part of town, with its botanical gardens, Anthropology Museum, Cuale Cultural Center and small stalls, stores, kiosks and boutiques that sell fine clothing, tapestries, obsidian carvings, women's clothes, Mexican handicrafts and some unique gifts such as individual watercolor paintings. Many of these buildings are dwarfed by enormous, ancient trees which add to the beauty and charm of the entire island. 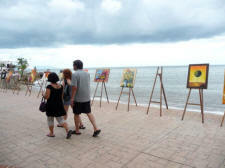 Take time for a leisurely stroll through this lovely part of Puerto Vallarta. 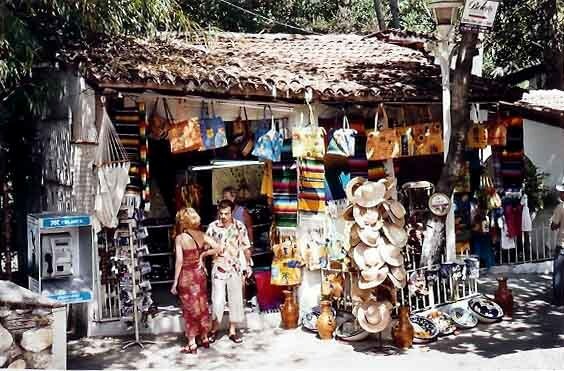 It's enjoyable to do walking and looking around the cobblestone streets of the South Side area (sometimes called Old Town or the Zona Romantica) especially on the main streets Ignacio Vallarta, Olas Altas, Lazaro Cardenas and Insurgentes. There are many stores filled with beautiful home furnishings and accessories, decorative items and gifts, jewelry and silver from Taxco, handicrafts, sandals/huaraches, women's clothing, unique collectibles, colored glass and the ubiquitous beachwear and souvenirs. 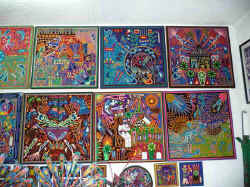 Lazaro Cardenas street has some interesting native art stores/galleries on it, such as Artesanias Flores and Olinala Gallery, as well as the gay bars CC Slaughters, La Noche, Dreams and Reinas. Quite a number of good restaurants are in this general area. 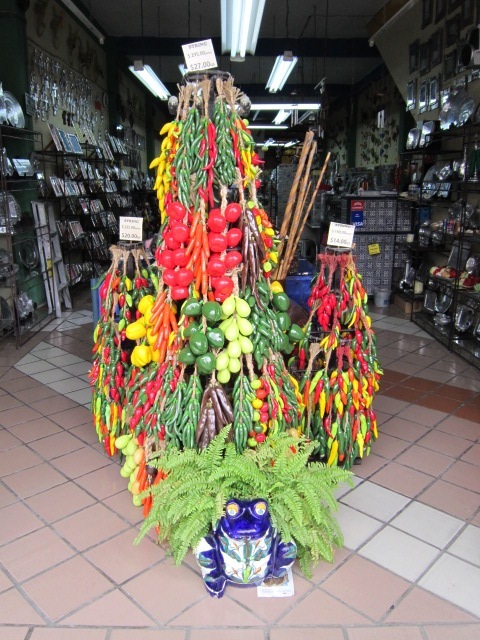 Vallarta's "Restaurant Row" on Basilio Badillo street has more than eighteen eateries in six or seven blocks, and a good number of interesting stores to boot. Most of the gay-owned bars, restaurants, nightclubs and shops are within several blocks or a short walk of one another on this side of town. 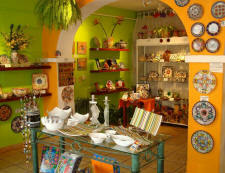 Excellent quality goods from all over Mexico can be found by shopping in Puerto Vallarta. Here are the gay-owned and operated shops and such (**) that I know about, as well as some others that I consider to be unique or of special interest. There are hundreds of smaller stores and boutiques in town and now a good number of larger shopping malls or centers and supermarkets as well, so what we have here is a very modest list. Shopping tips: The exchange rate offered in most places is rather poor, so visit an ATM or change dollars at a Casa de Cambio/Money Exchange House before going out shopping. Also, use your credit card when possible as that gives you the best rate, although a good number of Vallarta shops only accept cash. I advise you to check prices carefully before purchasing anything and be certain to count your change. Please note that store prices are fixed, while you can bargain on the beach or at the flea markets and in the municipal markets. 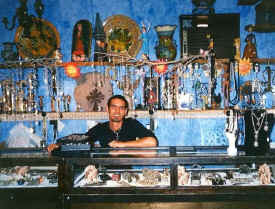 Contemporary and personally designed jewelry for men and women, with a much wider selection for women. Sterling silver, precious stone, coral, pearl, onyx, turquoise, jasper, rings, pendants, earrings, accessories such as handbags and scarves. Mon-Sat, 9am-9:30pm, Sun, 10am-6pm. 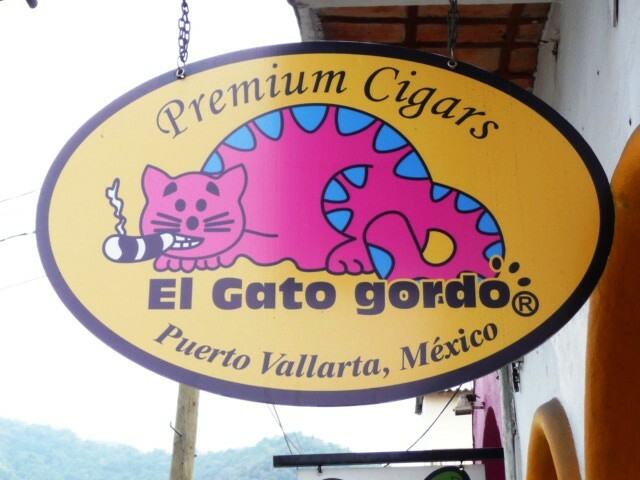 Puerto Vallarta surfing equipment, new and used surf boards and lessons, surfboard rentals, surfing related clothes, boardie shorts, leashes, t-shirts, wax, wet suits and other beach and surfer necessities and accessories. 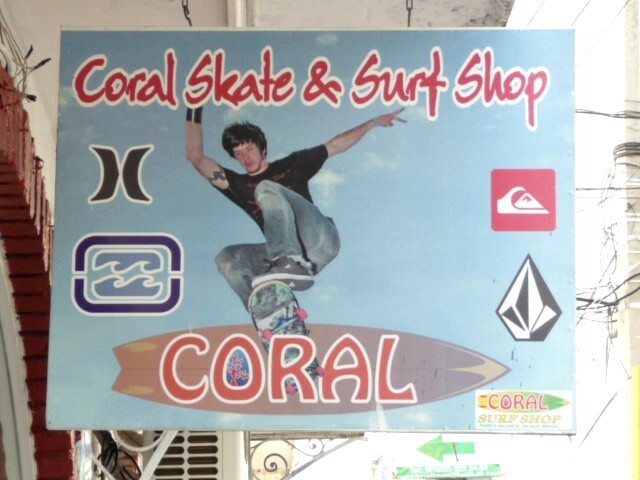 Since 1997 the Coral Reef Surf store has served Bucerias, Puerto Vallarta, Punta de Mita and the greater Banderas Bay area. David and Maneula, owners. Mon-Sat, 9am-7pm; Sun, 10am-2pm. 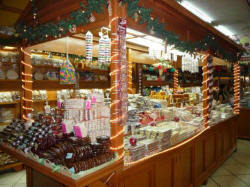 All sorts of typical and traditional Mexican sweets, preserves, dried fruits, fresh nuts, caramels and candies. There are several of these traditional candy/sweets stores in the main municipal or flea market area. Upscale fine home decor and furnishings, mirrors, art work, designer furniture, rugs, lighting and accessories. 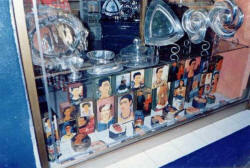 The Elements of Design store offers interior design services as well. Mon-Sat, 10am-8pm; Sun, Noon-5pm. 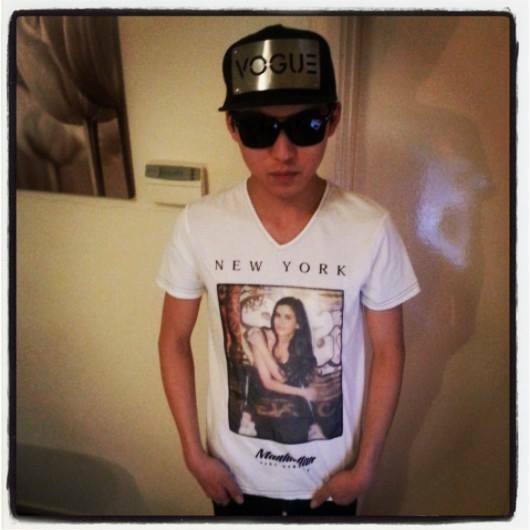 Find some of the better youth fashion in town. They carry some of the latest trends for men and women at reasonable prices. Gay-friendly service. 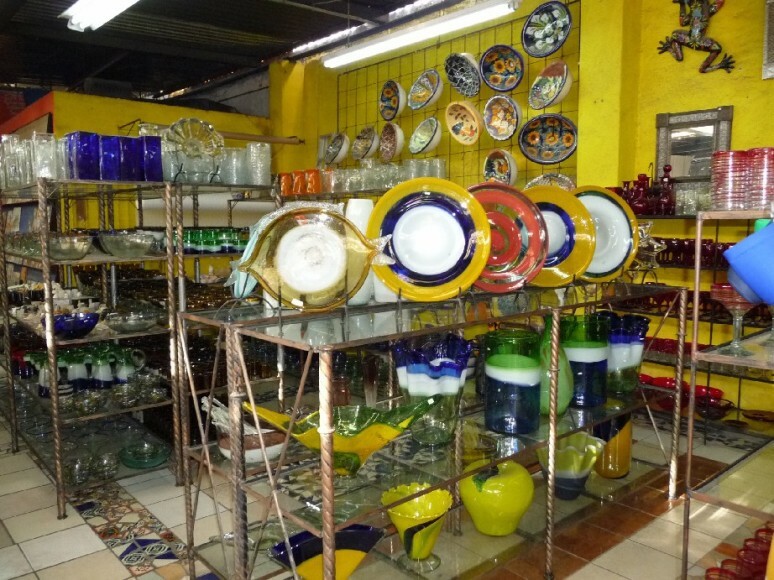 Parisina - Downtown - 402 Juarez, Tel: 222-2022 and 2747 Francisco Medina Asc. 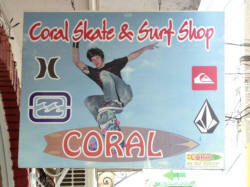 Tel: 221-1165 and Pitillal - 1526 Ave. Francisco Villa. 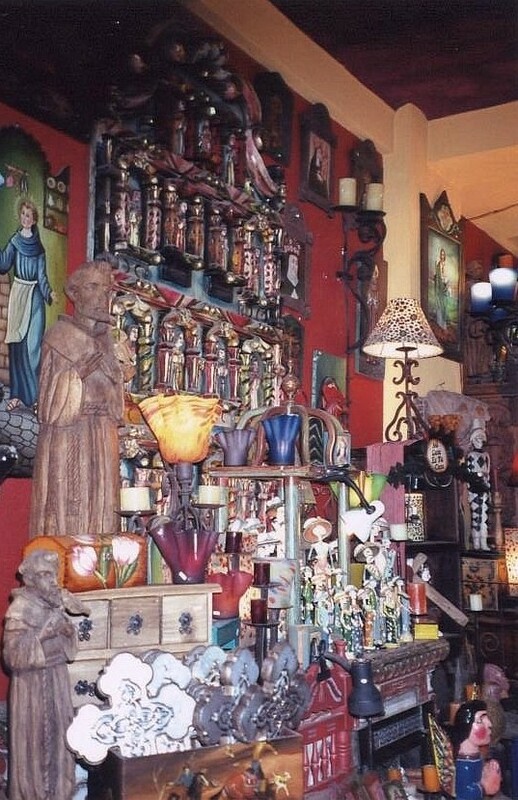 A wide selection of handsome home furnishings, colored glass, candles and decorative candle holders, Mexican religious art such as painted icons, statues and other special gifts, to name a few items. Popular Puerto Vallarta gift shop for handcrafts for over 23 years and friendly service with Gerardo. Daily, 10am-11pm. 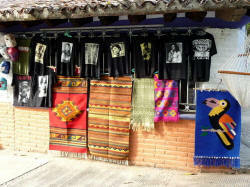 Selection of Mexican handicrafts. 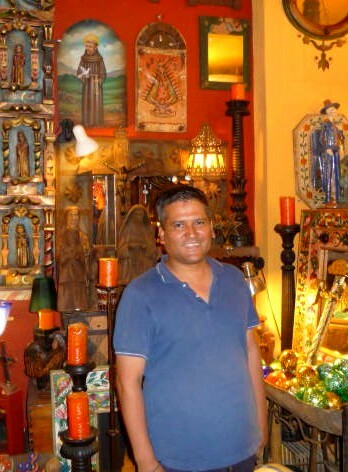 Talk to Chuy at the Serendipity shop on Ignacio Vallarta street. 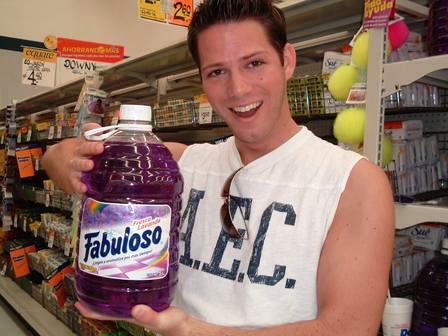 Another one of the gay-owned stores that has been in the neighborhood for many years now. Mon-Sat, 10:30am-3:30pm and 5pm-8pm. 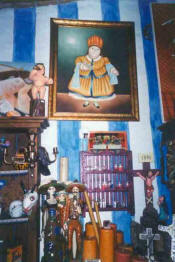 Casa Ley - Central/Downtown - 1150 Avenida Mexico. Phone:224-3009, 223-1978, 223-1863. The main supermarket downtown, with groceries, bakery and cleaning items downstairs; appliances, clothing, house supplies upstairs. Typical older style supermercado, catering mostly to local Mexicans Daily, 7am-Midnight. Galerias Vallarta Centro Comercial - North Side - 2920 Francisco Medina Ascencio. Tel: 209-0923. Newest upscale shopping center in Puerto Vallarta, with the huge upscale Liverpool department store, MMCinemas movie theaters with 12 screens, and over 200 shops and restaurants on two levels. Macroplaza Vallarta - Pitillal - 1526 Avenida Francisco Villa at Gonzalez Gallo Avenue. 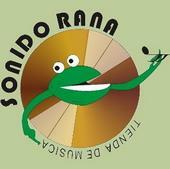 Tel: 224-9178. 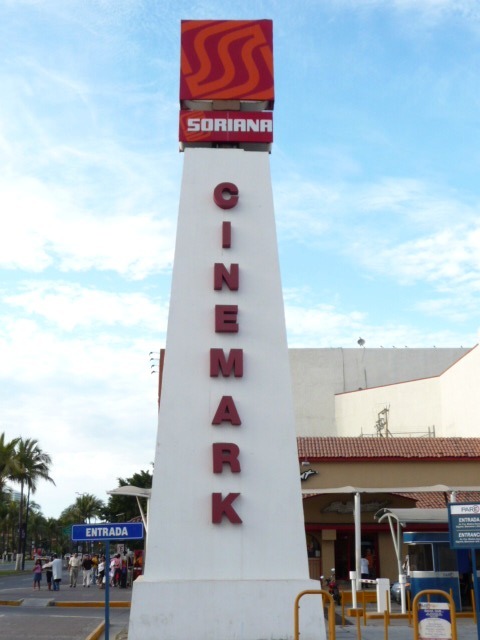 The newest Puerto Vallarta shopping mall complex located two blocks from the Soriana Pitillal shopping plaza, with a large Wal-Mart as its main store among some 200 other clothing and furniture stores, eateries and a movie cinema theater as well. Mega - North Side - Km 6.5 Highway to the Airport. Tel: 221-0490, 221-0053, 222-7709. Comercial Mexicana grocery store near the Sheraton hotel that reminds me of a Safeway in California, with a large department store section as well. One of the largest markets in the city, carrying a wide variety of items from food products and fresh pastries to major kitchen appliances, clothes, liquors, cookware, a variety of seafoods and deli meats, and a well stocked pharmacy. Municipal Market/Flea Market - Downtown - Insurgentes at A. Rodriguez. Tel: 293-3971, 224-1175. Located along the north side of the Cuale River with lots of everything from souvenirs and trinkets to clothing, t-shirts, glassware, silver and jewelry, pottery and your basic comida/food upstairs. A good place to practice your bargaining skills as they will always start out asking too much; bargain away! Soriana - North Side - Blvd. 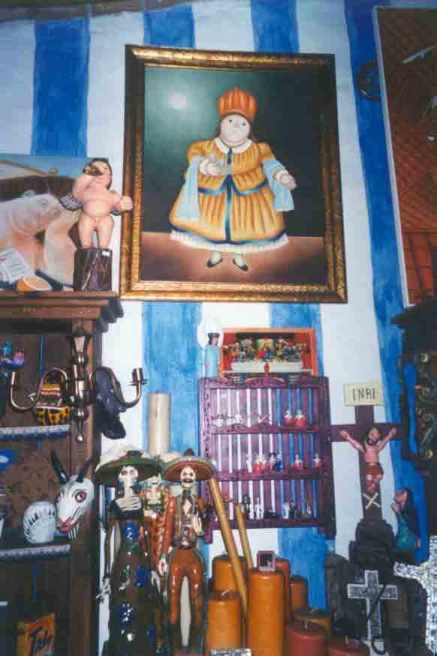 Francisco Medina, in Plaza Caracol. A huge department and grocery store in Puerto Vallarta's principal shopping mall. Clothes, appliances, hardware, food. 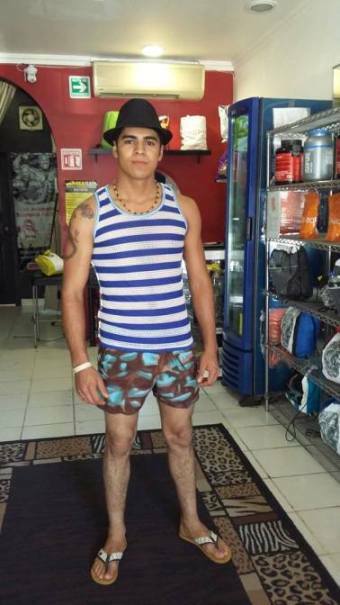 Note: The information on this and other pages of the Vallarta Gay Travel Guide was deemed accurate when posted, but changes can happen without prior notice. You may wish to call to check on details directly with any businesses or shops in question before planning your time out around Puerto Vallarta, Mexico. And you can go to the Gay Links, etc page in order to see links along the left-side navigation for all the main pages of the Travel Guide.